My first experience of the Mexican food of the Southwest did not really come in Texas. Sure, Austin has excellent food trucks and many of those food trucks serve tasty tacos, but they weren’t the kind of tacos that made me stop eating at Chipotle. That all changed when I ate at Maria’s in Truth or Consequences, New Mexico. When I really mean by Mexican food is tamales. At Maria’s I ordered my first tamales in the Southwest (and my second tamales ever, if you count the time I ate them in The Mission in San Francisco). 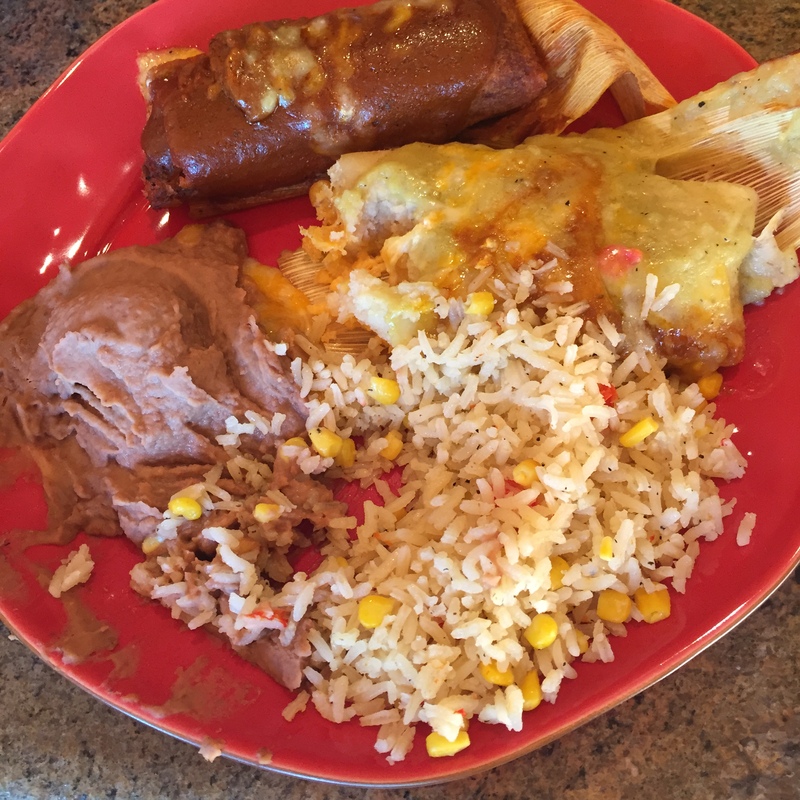 I had one green tamale, which any avid tamale eater knows as the vegetarian corn tamale with green chile sauce, and one red tamale, the beef stuffed tamale with red sauce. 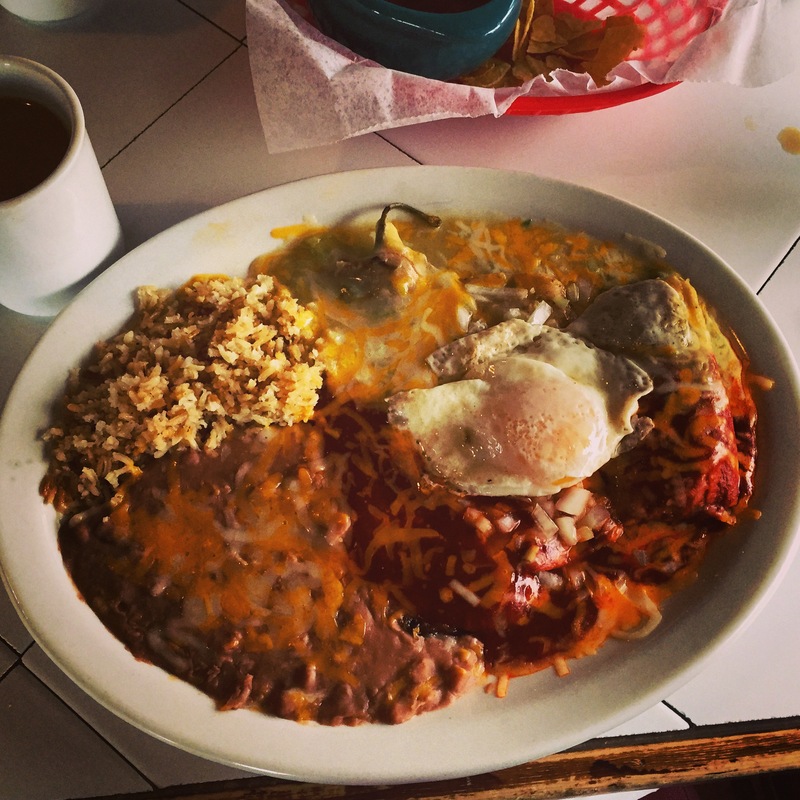 It came with beans and rice, smothered in cheese, and as promised – an egg on top. Ever since this encounter, I haven’t been able to stop eating tamales. I order them for delivery in downtown Phoenix, I request them off food carts in Roosevelt’s Row, and I eat them at sit down dinners in Scottsdale. Without doubt, the best tasting ones I’ve had ordered out came with an egg on top. I don’t know what it is, but that egg really seals the deal. I think that sums up this blog post. Thank you very much.